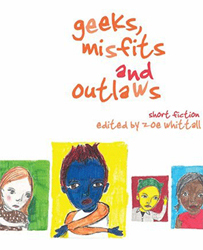 Geeks, Misfits and Outlaws celebrates the eccentric in short fiction by an eclectic mix of provocative, humorous and outlaw writers. Featuring work by Camilla Gibb, Lynn Crosbie, R.M. Vaughn, Kristyn Dunnion, Jim Munroe, Mariko Tamaki, Sky Gilbert, Michelle Tea and others.